Authentically, Manistee County has the finest collection of historical buildings in the State of Michigan. That distinction, made by the Michigan State Historic Preservation Office can be seen first-hand as today you are able to tour most of these wonderful historic sites. Manistee's museums are full of intriguing information and artifacts about the people, places and industries that created the fabric of our eclectic communities. From the genealogy research room in the Manistee County Historic Museum to the Kaleva Train Depot, Manistee County offers so much for locals and visitors looking to learn about our county’s History. The Great Manistee Fire occurred on the same day as the Great Chicago Fire (October 8, 1871). Over half the city burned and left 1000 people homeless. Many of the Victorian homes in Manistee are a result of the rebuilding period. Information: Built in 1907, the Manistee Iron Works, also known as the Excello factory, was a manufacturing company based in Manistee, Michigan. The Manistee Iron Works was founded in the 1870's as a foundry and machine shop. In the late 1880's the facility began manufacturing heavy machinery, including pumps and evaporation pans for the area's burgeoning salt industry. The Iron Works continued operations until 1981 and has had multiple uses since, including a sound state for 10 west studios. Information: Built in 1927 from cast iron and towering 39 feet above the Manistee Harbor, the North Pierhead Lighthouse is an architectural and nautical icon. During times of need on the ever changing waters of Lake Michigan it signifies safety and security. To the casual beach goer, it serves as a perfect backdrop for the photo with someone special. Simply put, the lighthouse is a symbol, A symbol used and sought out when in need, and is a constant reminder of our rich history along the banks of the Manistee River. Information: The Ramsdell Theatre is a historic playhouse and opera house in downtown Manistee. Built in 1902-03 by a local lawyer and philanthropist Thomas Jefferson Ramsdell. When built the opera house was comparable to some of the best opera and vaudeville houses in the country. Recently, the theatre went through a major renovation and is beautifully resotred to its original splendor. Today the theatre houses the Manistee Art Institute, Manistee Civic Players and other arts and entertainment groups. I picked up the Manistee County self-guided historic sites tours publications at a restaurant (TJ’s) my husband and I were eating at. I would like more copies to share with our local historic society. Would you be able to send me 6-8 copies? This publication was so well done. Thank you for your comments, and we’re glad you enjoyed our Historic Sites Tour book. Be sure to enjoy the historic tour video series on our website, accessible by QR code reader from the tour book. I’ll send your additional copies today! We will be staying in Manitoba this summer. Can you email me your tour brochure of the historic area in Manistee MI? Thank you for contacting Visit Manistee County! The Historic Sites Tour guide book is available free of charge by mail. Just click on this link and check the box for Historic Tour Guide: visitmanisteecounty.com/area/request-travel-guides. 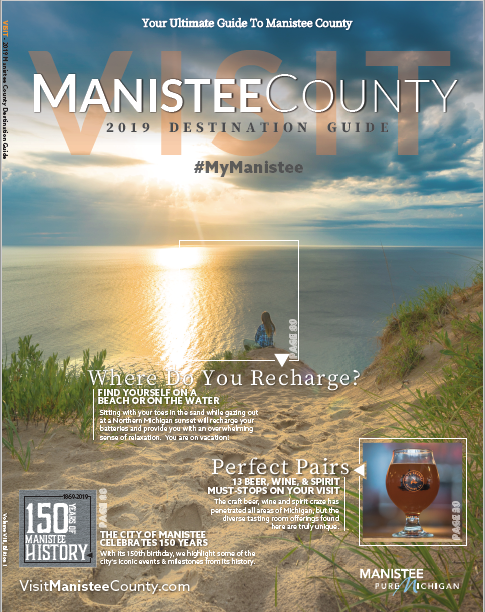 Manistee County features over 120 historic sites, therefore the book is too large to email; however, the individually mapped routes are available on the website along with feature videos of select sites. Any pictures of norwalk, mi.